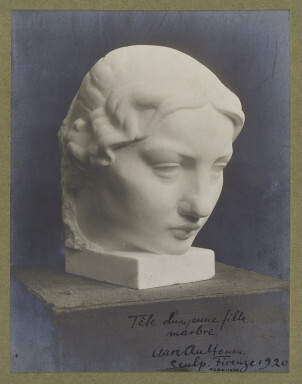 Photograph of a marble sculpture by Aare Aaltonen, depicting the head of a young woman. 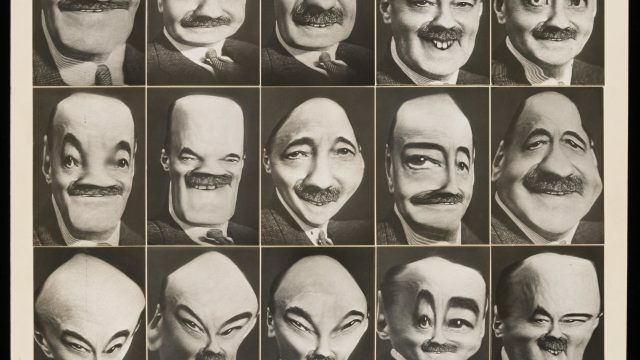 We are always keen to discover links between objects, so we were delighted recently to find that a collection of photographs we hold connect directly to archival records in the Archive of Art and Design. The link between these involves one man, the art historian, novelist, and librarian, William Kineton Parkes (1865-1938). 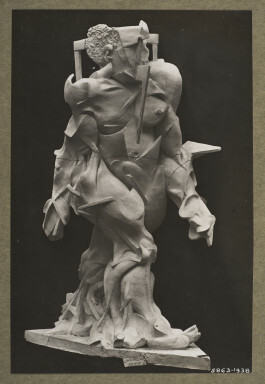 Kineton Parkes was particularly interested in sculpture, and so as research for the third volume of his survey Sculpture of Today he sent out questionnaires to living sculptors asking for information about their careers – and also for photographs of their work. 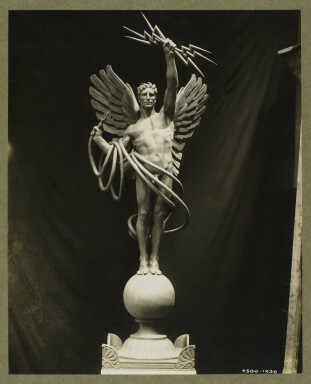 Over 300 sculptors responded from 23 countries during the period 1922 to 1925, some with brief responses but others with detailed and chatty replies. Kineton Parkes never completed the third volume of Sculpture of Today, and bequeathed his notes and papers to the V&A on his death in 1938. 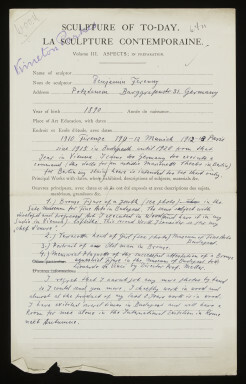 To begin with the questionnaires were kept in the Sculpture Department, but they were later transferred to the Archive of Art and Design. 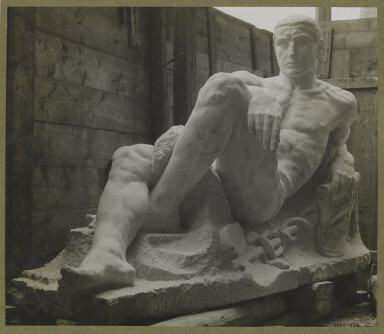 Researchers have since consulted the questionnaires regularly, as they provide a fascinating snapshot of sculptural practice during the period of the mid-twenties, and include responses from a diverse range of sculptors from Aare Aaltonen to Ossip Zadkine. 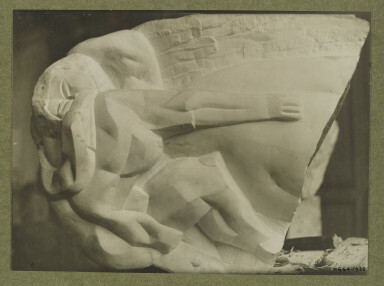 Photograph of ‘Leda’ a sculpture by Ossip Zadkine. In 2015 a request from an external researcher led to the re-discovery of many of the photographs sculptors had sent to Kineton Parkes with the questionnaires, plus some others which Kineton Parkes had collected later. These had also entered the Museum in 1938, but the link to Kineton Parkes and to the questionnaires had, for some, been forgotten. These comprised over four thousand photographs which for the most part had entered the Photographs Collection. 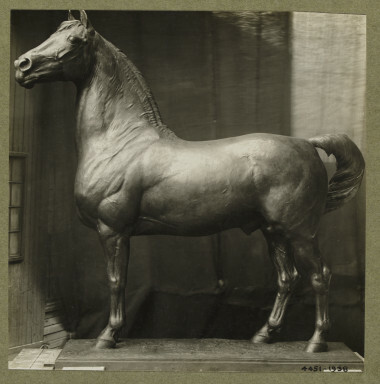 Part of what makes these photographs so interesting is that we now know that many of them were selected by the sculptors themselves to best represent their work. Some give tantalising glimpses into the sculptors’ studios, and show works partway through making. Others, such as this, show portrait busts next to the people they depicted. 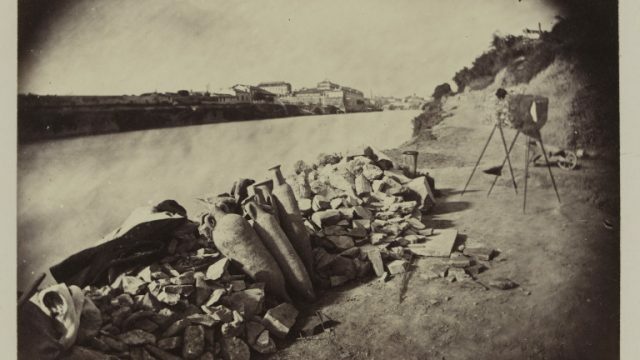 Not all of the sculptures may have survived, so these photographs in some cases could be a key record. 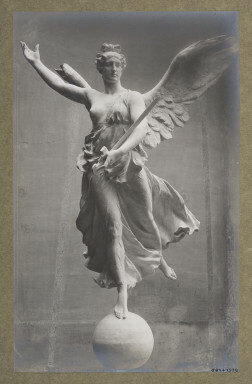 The archive includes many female sculptors of the period – 77 of the sculptors represented in the archive are female, and for 40 of those we hold both questionnaires and photographs. 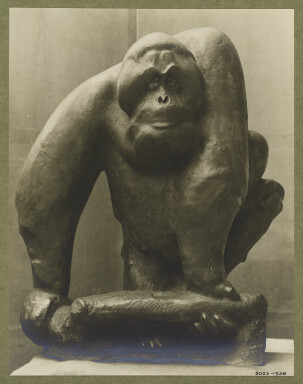 The English section also includes some of the proponents of the influential New Sculpture movement. Beginning in the late 19th century, the movement was concerned with making works more vital and lifelike. However, a wide range of sculptural practice is evident in the photographs, from naturalistic works to the more stylized and abstract. As well as the ‘high art’ sculptures one might expect, the collection ranges from public sculptures and memorials through to garden sculptures, animal sculptures, and even hood ornaments for motor cars. The questionnaire responses are also really rich and diverse – here we can find Leon Underwood humbly pointing out that he has ‘only recently begun to carve’, Oliver O’Connor Barrett asserting that he has ‘had no Art Education, unless you count occasional drawing from life at evening classes, always after doing a full day’s work in a factory’, Mateo Hernandez stating his method [trans.] 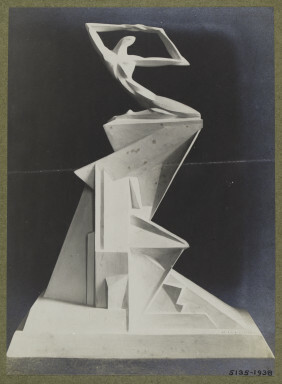 ‘I work the material (wood/stone/granite) directly, facing the living model[…]without making a prior maquette.’ (And here he is doing exactly that). Many sculptors listed the works which they were most proud of, the teachers they worked under, and their commissions and exhibitions. We are currently hard at work digitising and cataloguing all of the photographs, and finding out which correspond with the questionnaires. Most of the photographs are now available digitally via Search the Collections. They can be viewed in person in the Prints and Drawings Study Room, and the questionnaires can be seen at the Archive of Art and Design. 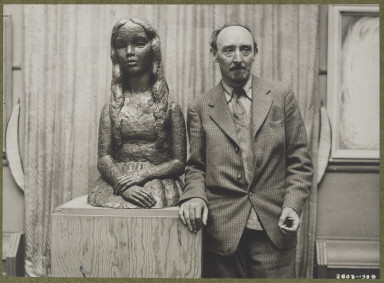 You can view our current list of sculptors represented in the collection here. A few photographs from this collection are also on view until February 2017 in Gallery 100 at the V&A, as part of the current display ‘A History of Photography: The Body’. The Kineton Parkes photos were dry-mounted by the V&A soon after they entered the collection in the late thirties, so beforehand somebody in the Museum clearly had to decipher the handwritten notes on the back of each photograph and type these up as labels. 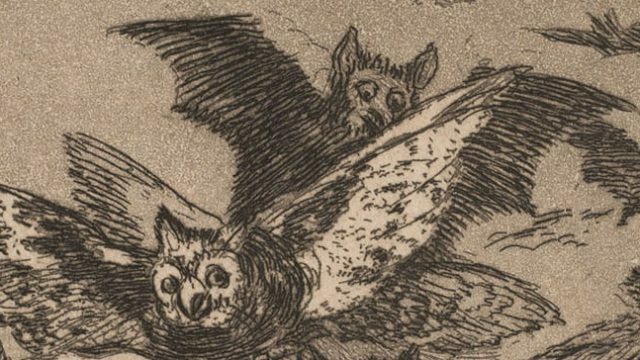 We have found many errors as a result, which we are still in the process of correcting in the online records.Therefore what you see in our catalogue at the moment is a work in progress. Transcribing handwritten names and titles in different languages can still be tricky these days, let alone before the internet – so it is easy to understand how these mistakes were made. In most cases we do not yet know who took the photographs and whether the sculptures still exist, so work on this collection is still at an exciting early stage. If you can help us correctly identify the works, or what has happened to them since, do let us know in the comments below! Very interesting article, thank you for helping us learn more about the work of Parkes! Please tell me where the Fritz Behn sculpture of Oran Utang which appears here can be seen. Do you hold any of his work? Can you tell me if any of his work is coming up for auction soon? Zeller, Joachim: Wilde Moderne. Der Bildhauer Fritz Behn (1878-1970), Nicolai, Berlin 2016.